White Pine is another good selection for creating privacy screening along your homes property line. Like most evergreen trees you should space pine every 10-15 ft. for screening. 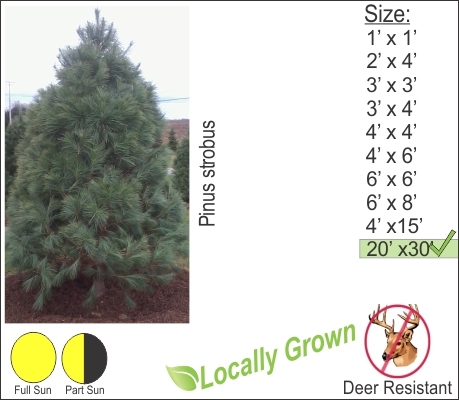 White pine once established are easy to care for. During hard winters and high deer populations we recommend that you use deer netting to control grazing. A better selection for privacy screening in your landscaping would be Norway Spruce.